I like wearing jewelry that reflects who I am, and what I like. 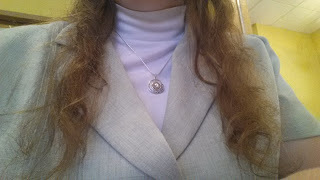 For example, one of my favorite pieces to wear, is a simple pendant with a TaeKwonDo design on it. 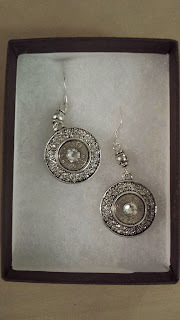 However, a couple weeks ago I received some new jewelry that immediately made it to my favorites collection! Bullet Designs is exactly what it sounds like. A store that turns fired bullets into some of the most beautiful jewelry and accessories you've ever seen! I received a Necklace, Ring and Earrings from the Fire and Ice collection, and they are simply breathtaking. The necklace is my favorite, hands-down. The 40 caliber bullet is surrounded by crystals, and hangs from a snake chain. The beauty of this necklace is that while it's simple enough to pair with denim and a tee, it's also stunning enough to accessorize an evening gown! 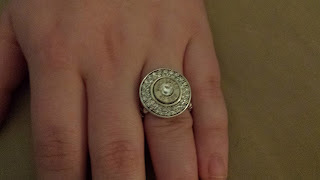 I love the bullet feature, because I love to shoot, and this is a wonderful way to reflect my interests with a simple piece of jewelry! 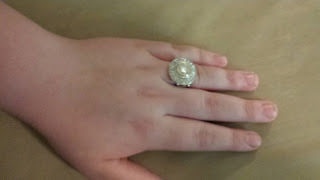 The ring features the same design as the necklace, but I really like the stretchy band. This means it's pretty much one size fits all. Which is great, because M enjoys wearing it too, and it actually fits both of us! Now, for the last piece in the collection I received-Fire and Ice Bullet Earrings. I don't personally wear earrings, so I decided to do a giveaway with these instead. Anybody up for some absolutely gorgeous earrings made from recycled bullets? Here's your chance! If you don't win, be sure to check out Bullet Designs; the prices are super reasonable, and this is truly one-of-a-kind jewelry! One of my readers will receive a pair of Fire and Ice Bullet Earrings!! I like the bullet tennis bracelet. I love the Handcuff necklace. 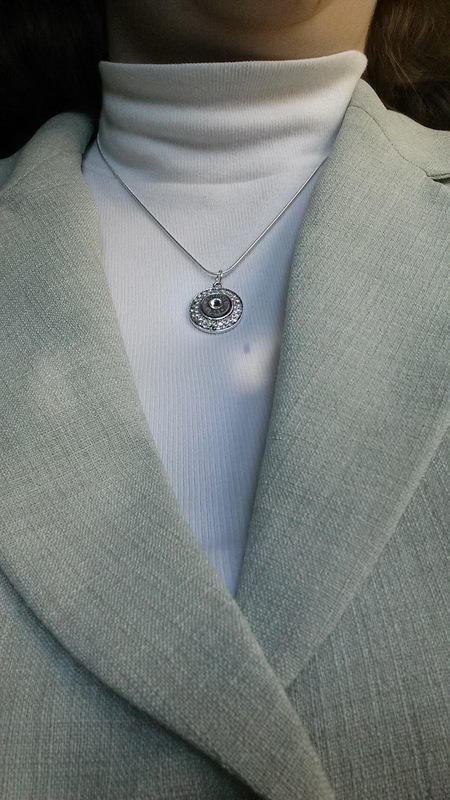 I like the Bullet Cross Necklace for Men. I love the USA 9mm Bullet Tennis Bracelet. I like the Custom Bullet .925 Sterling Silver Cigar Band.